Haunting, brutal and realistic. 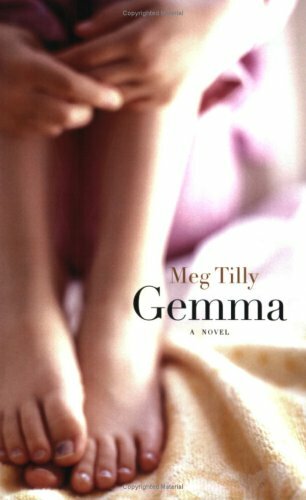 Tilly's stark, punctuated writing style suits both protagonists well in this novel. At first I didn't like or understand Gemma at all, until her abuse comes to light in an almost off-hand way and all of a sudden. Which may be how abuse really happens in real life, so fitting. As the story went on, I found myself able to relate to Gemma's utter aloneness and self-doubt more and more. Once you get to know Gemma, she's naturally charming and enthusiastic, full of hope and love. Tilly shows us that even the severely abused can be healed with real loving attention. The author's attempt to humanize the villain falls slightly short, understandably. I think she's brave to even try to get into an abuser's head in any sort of empathetic way, after her own abusive past. She does do a decent job at showing how abusers are able to rationalize and fantasize their way into believing they are doing nothing wrong. I was disappointed in where the author chose to end the story. She interests us in the villain's point of view, but then does not complete his own tale. It seems she was trying to end the novel on a note of hope, and with Gemma, but it left me feeling abruptly cut-off and unsatisfied. What was the verdict? How did he react? This moving and compassionate book is not for the faint-hearted. Its descriptions and depictions of sexual, physical, emotional abuse and neglect are vivid and accurate. Her abusive characters are entirely, and unfortunately, believable - such evil people exist, we hear about them on the news. It is more difficult to believe in the existence of people like Gemma's saviour, Cindy - or even that a little girl could have such strength herself - but we are tempted to do so. Tilly makes us want to believe. I won this book free through the Goodreads First Reads giveaway, which had no influence on my rating or review.